AIYINO is a fashion brand designer which specializes in clothing. latest offers from your favourite brands，discover top brands and fashionable styles in our Men's Clothing Store. The Perfect Shorts are going to become a warm weather favorite. *Breathable and comfortable, at home or other casual occasion. This casual linen shorts is the best choice. 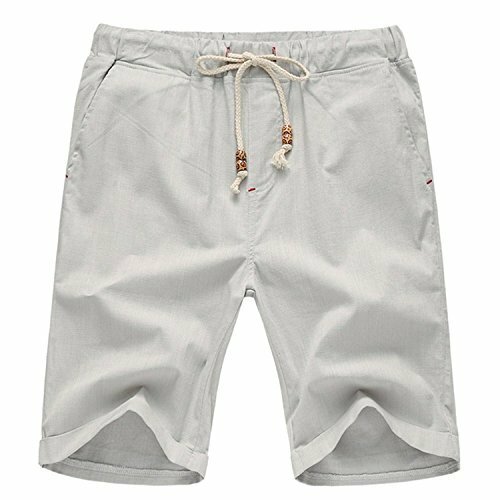 *You will never regret your purchase because it is so nicely designed shorts for your daily look. Additional: Any questions, please feel free to contact AIYINO directly.